As radiant as a beautiful spring bloom, this Hulchi Belluni Ring features a large 1.0CT Pink Tourmaline set amongst a halo of 16 opulent round Diamonds, .13TDW. 4.3G. Put a little color and sparkle into your day with this vibrantly hued ring twinkling in diamonds. Uniquely set on an 18kt rose gold twisted band, this fun and delightful Hulchi Belluni ring will bring a smile to your face every day. Find the artistic collection of Hulchi Belluni designs at Tara Fine Jewelry Company, Atlanta's jeweler for world renowned designers and luxury Swiss watches. Showcasing an amazing bridal collection and gorgeous diamond jewelry, Tara Fine Jewelry Company is also home to Atlanta's finest selection of Rolex, Omega, Tag Heuer and Breitling timepieces. 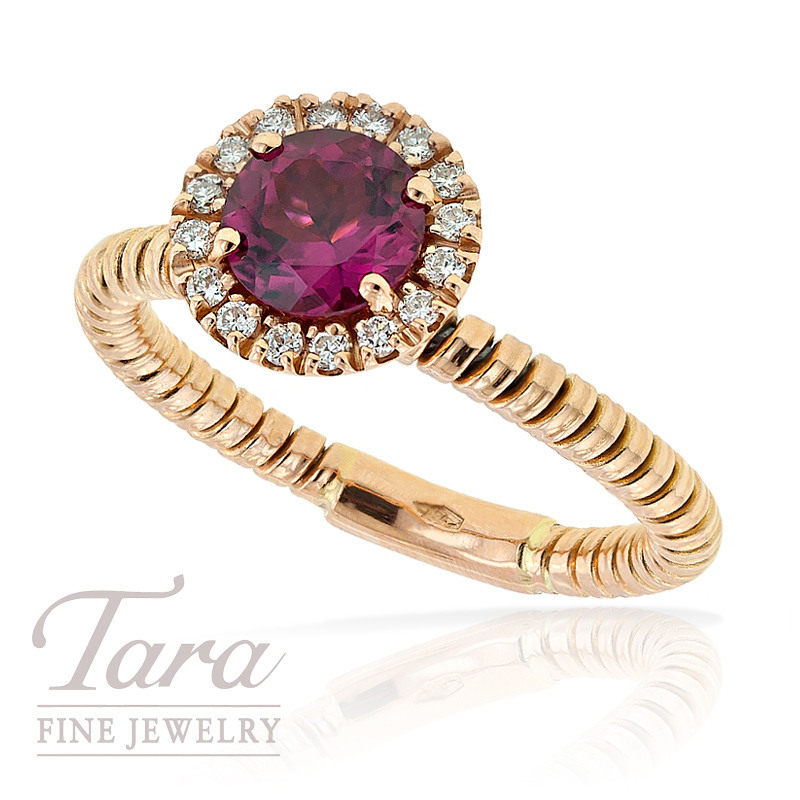 It won't take long to find the ring of your dreams at Tara's beautiful Buford showroom--just down the street from the Mall of Georgia.